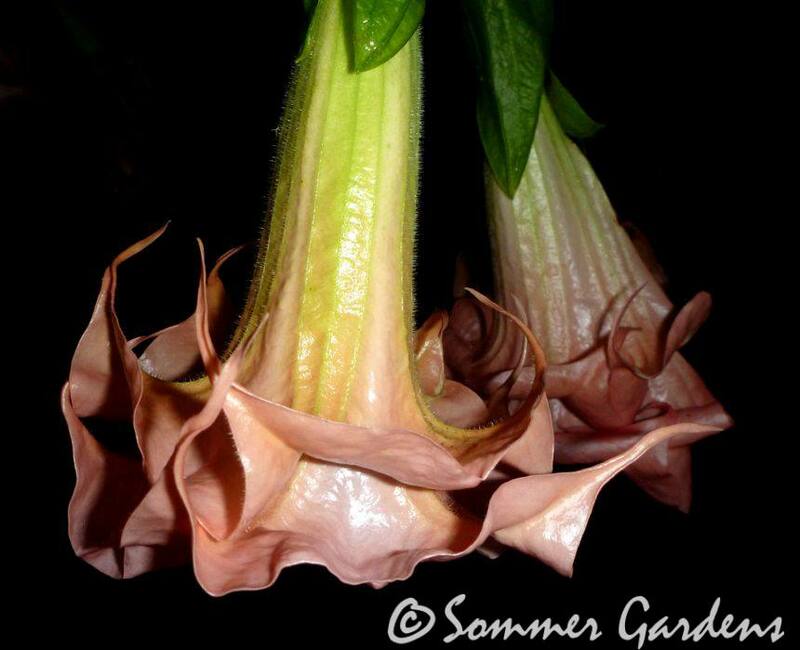 A new Brugmansia to warm up this dreary winter day. 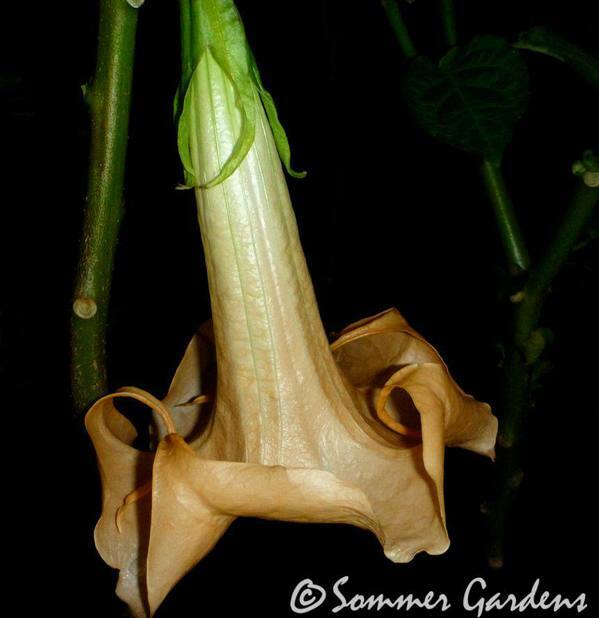 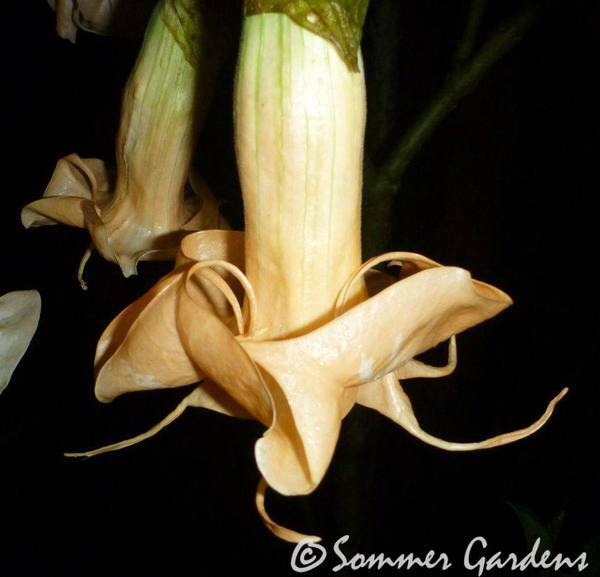 Here's a new Angel Trumpet seedling that will certainly brighten up this winter day. The cross is Brugmansia 'Teri Shiavo' x 'Langenbuscher Garten'. An Angel Trumpet seedling from a cross I made between Brugmansia 'New Orleans Lady' x 'Tootsie' has been a prolific bloomer with Tootsie-sized blooms. 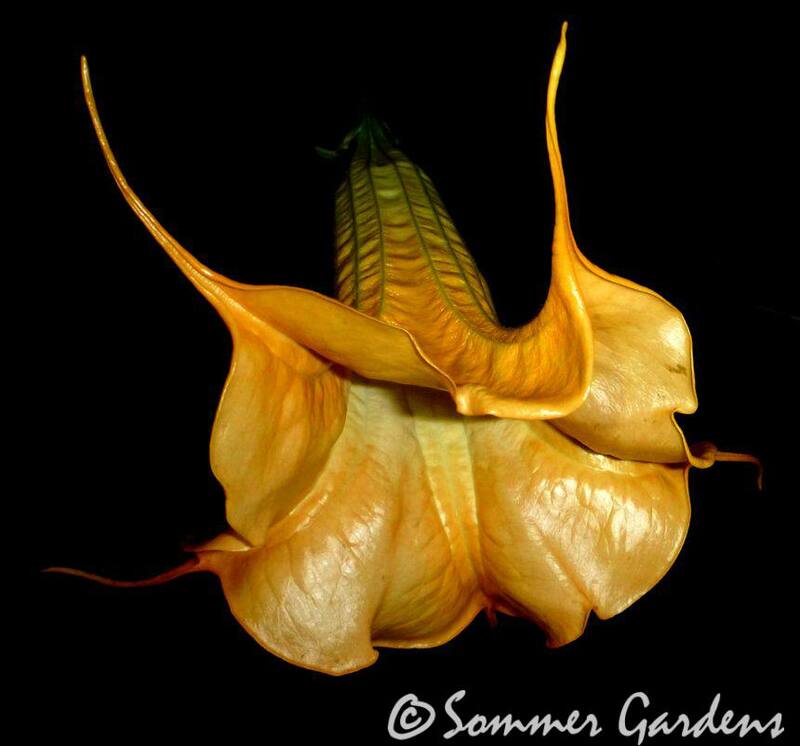 This new Angel Trumpet seedling is from a cross I made between Brugmansia 'Double L'Amour' x 'Bergische Symphony'.